Large aftershocks continued to rattle a nervous Christchurch today as the city and its residents looked to recover from two large tremors on Monday. Scientists have said Monday’s 6.3 quake has increased the risk of another quake of up to 6.9 magnitude some time within the next 12 months to about 30 per cent and residents were given further reminders of this as they were woken by shakes of 5.0 and 4.2 in magnitude – both about 5km deep 20km southeast of the city – around 6.30am. The aftershocks have to be upsetting to local residents and merchants, and they must be slowing down the work of public officials. Just a reminder that the recovery process from an earthquake has special characteristics. In the U.S. in the aftermath of some major earthquakes, there have been aftershocks for years. Additional details about the implications of the aftershocks can be found in this Christian Science Monitor article, on June 14: New Zealand earthquake rocks Christchurch rebuilding hopes. New Zealand Prime Minister John Key said this week’s tremors have hit the same parts of the city that were devastated by the Feb. 22 earthquakes. He hinted that parts of the city may have to be permanently abandoned. Also on June 16, from Stuff.com.nz an article about problems with earthquake insurance payouts. 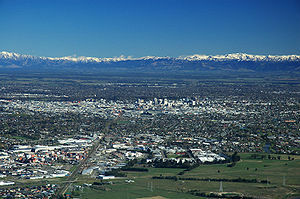 This entry was posted in Uncategorized and tagged Aftershock, Christchurch, earthquake, New Zealand by recoverydiva. Bookmark the permalink.